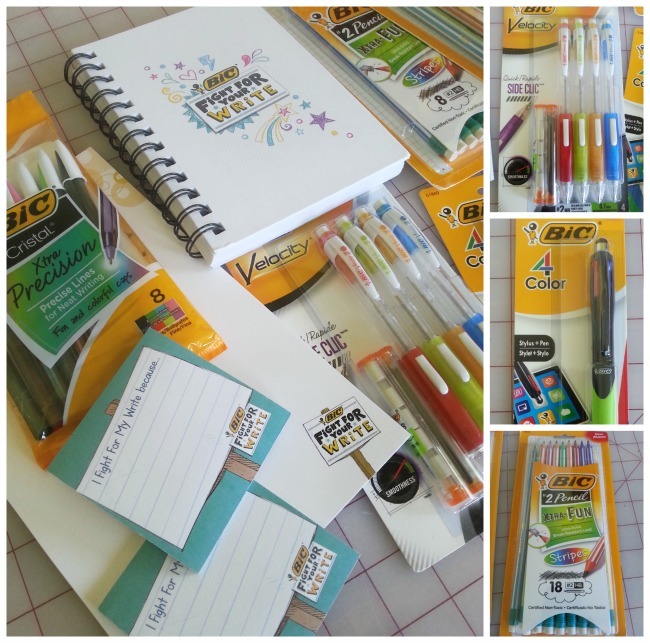 This post is written in conjunction with Bic and The Motherhood. All thoughts and opinions are my own. One of the best things about homeschooling is being able to choose which skills I want my kids to develop better because I know those skills will be valuable to helping them become successful adults. Skills like handwriting. I'm not just focusing on it because I'm a writer. 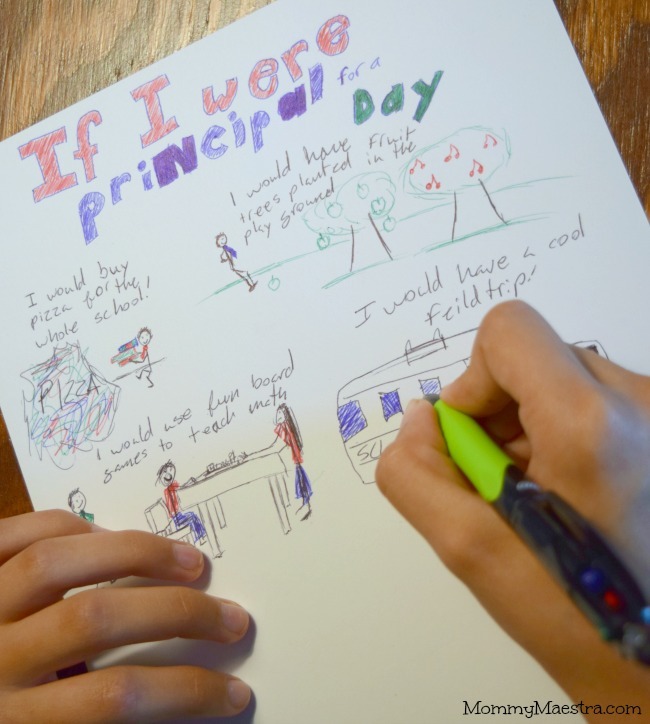 It's because I know that research proves that developing strong handwriting skills impacts other areas, such as critical thinking, reading comprehension, fine motor skills development, creativity and even self-confidence. While my daughter has a writer's heart, I've really struggled with getting my son to write simple sentences. For years, he's resisted simple writing assignments. I was frustrated, not understanding why he was that way when my daughter could write entire novels by the time she was 10. But this year, I finally had a breakthrough when I discovered that my son appears to have dysgraphia, a learning disability that affects writing abilities. It can manifest itself as difficulties with spelling, poor handwriting and trouble putting thoughts on paper. He actually has very neat handwriting, but it takes him a long time to put his thoughts down on paper, if he's able to do so at all. I'm still learning about how to proceed. Mostly I see articles recommending more verbal and typing work instead of handwriting. And while I can live with this to some extent, I know that my son needs to know how to write. So I continue to move forward with small writing assignments, not pushing, but allowing him to move forward at his own pace. And I look for ways to make writing more fun. One of those ways includes making the entire process more exciting by giving him writing tools he enjoys. And I'm so thankful that this year, I discovered new products from Bic to make this journey a little bit easier! So as part of our first day of school ritual, my First Day of School Gift to my children included pencils in bright colors, pens with multiple ink options, and colorful mechanical pencils. These were all new and different tools for my son to use, so they make him want to write. While I know that the novelty of these instruments won't last forever, they've really helped to kick off our school year on a positive note. 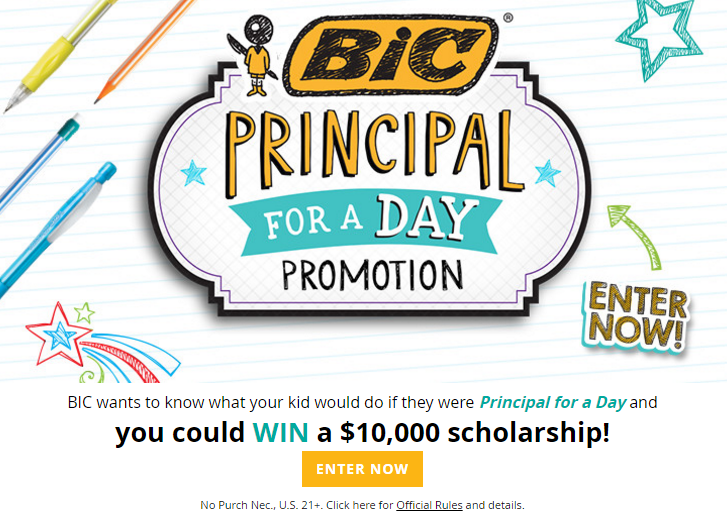 Bic has a contest dedicated to getting kids writing. 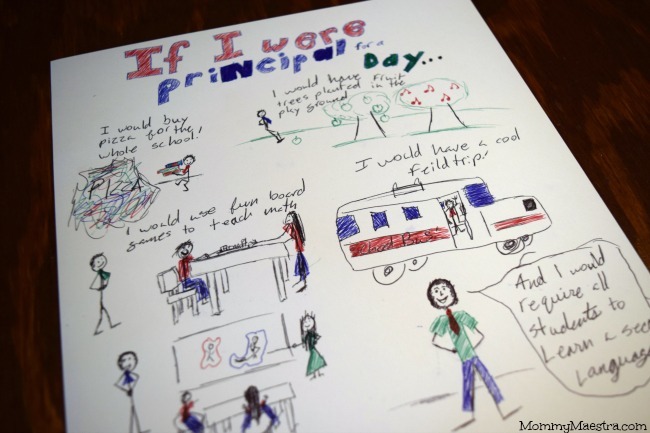 They want to know what YOUR kids would do if they were principal for a day! All you have to do is have your child write out his or her ideas and you could WIN a $10,000 scholarship! Visit BICFightForYourWrite.com now through August 15th to enter BIC’s If I Were Principal For A Day Contest and learn about more ways to celebrate handwriting. No Purchase Necessary. U.S. only, 21+. Ends 8/15/16. 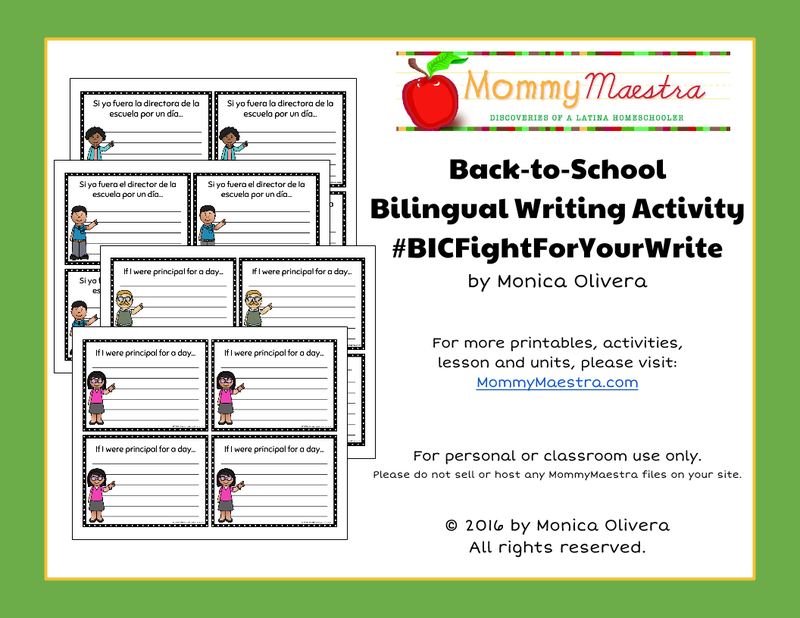 Visit BICFightForYourWrite.com for Official Rules and details. 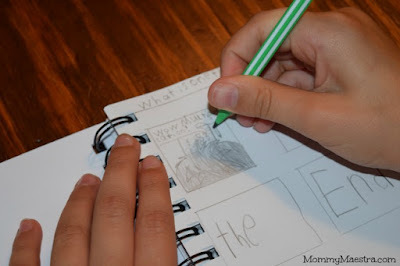 To get my kids into this contest, we talked about one thing they each learned last year, which subjects were hard for them, what they were looking forward to this year in school, and one thing they really wanted to learn about before the December holidays. 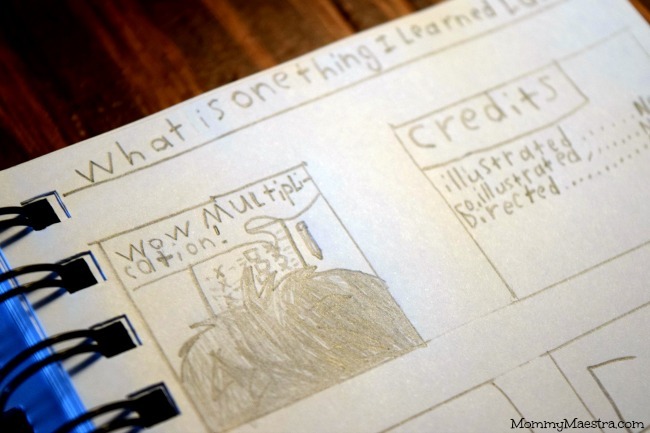 My son prefers drawing to writing, so I use this to our benefit and have him create comics where he can draw all he wants, but he also has to write thought bubbles, speech clouds, and more. 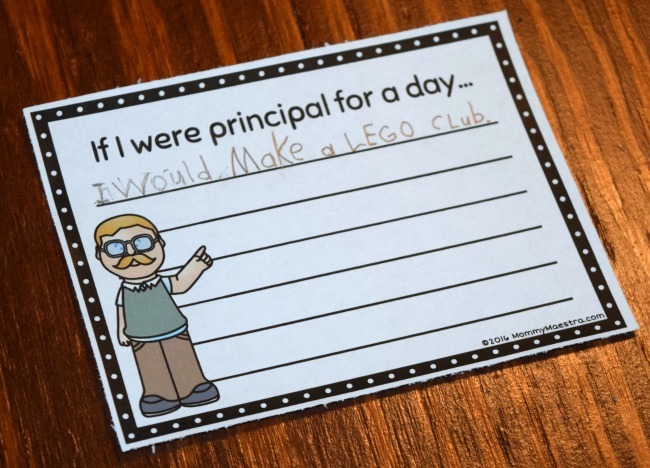 Then I had my kids write out what they would do if they were the principal of a school for a day. My daughter went ahead and created the poster you see at the top of the page using her 4 color pen. But my son needed a more manageable writing activity, one that was very focused but still fun. Big blank pages aren't productive for us at this point. So I created a small writing prompt on a card where he could fill in the blanks. All he had to do was think of one thing he would do as the principal. And so he did. Because I enjoyed creating these simple, focused writing cards, I wanted to share them with MM readers, too, so you can download your free copy by clicking the link below. And yes, they are available in English AND Spanish. For every pledge to celebrate handwriting made by a parent or educator on their website, Bic will donate a pen or pencil to AdoptAClassroom! And I hope that you'll join me tomorrow (August 11) for a one-hour Twitter party at 1 p.m. E.T. 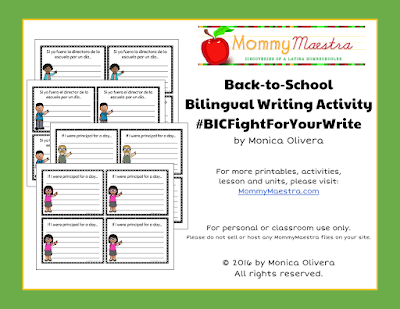 Just follow #BICFightForYourWrite.